Updated Newly declassified directive governs interception of communications involving "U.S. persons"
In its May 2, 1946 report, Preliminary Design for an Experimental World Circling Spaceship, the Douglas Aircraft Corporation examined the potential value of satellites for scientific and military purposes. Possible military uses included missile guidance, weapons delivery, weather reconnaissance, communications, attack assessment, and "observation." It was not until almost nine years later, on March 15, 1955, that the Air Force issued General Operational Requirement No. 80, which established a high-priority requirement for an advanced reconnaissance satellite. 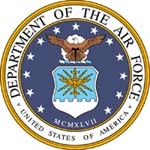 The document defined the Air Force objective to be the provision of worldwide surveillance or reconnaissance of "preselected areas of the earth" in order to provide warning of ballistic missile attack, collect intelligence to support national intelligence requirements as well as emergency war plans, and to determine "the intentions of a potential enemy and the status of his warmaking capability." Over the next five years the U.S. reconnaissance satellite program evolved in a variety of ways. The Air Force program was first designated the Advanced Reconnaissance System (ARS), then SENTRY. Management responsibility for SENTRY was transferred from the Air Force to the Advanced Research Projects Agency (ARPA), established on February 7, 1958, and then back to the Air Force in late 1959-by which time the program had been renamed SAMOS. Concern about the length of time it would take to achieve the primary objective of the SAMOS program-a satellite that could return its imagery by scanning the exposed film and returning the recorded data electronically-was expressed by the President's Board of Consultants on Foreign Intelligence Activities (PBCFIA) in an October 1957 report. The board stressed the need for an interim photographic reconnaissance system that would be available before either SAMOS or OXCART, the planned follow-on to the U-2 aircraft, would become operational. Such considerations led President Dwight D. Eisenhower to approve, also on February 7, 1958, a CIA-led program to develop a reconnaissance satellite. The program, which would soon be designated CORONA, focused on development of a satellite that would physically return its images in a canister-an objective that had been a subsidiary portion of the SAMOS program. 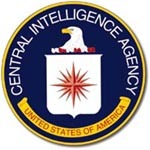 The CIA would provide the payload, handle the contracting, and be responsible for security. The Air Force would be responsible for the boosters as well as launch and recovery operations. As was the case with the U-2 project, the CORONA program would be managed by the CIA's Richard M. Bissell, Jr., the DCI's Special Assistant for Planning and Development (who would officially become Deputy Director for Plans on January 1, 1959). Air Force Brig. Gen. Osmond J. Ritland, his U-2 deputy and Vice Commander of the Ballistic Missile Division, would reprise his role as deputy. In early 1958, there was still great uncertainty and even more concern about the extent of the Soviet missile threat. A November 1957 national intelligence estimate advanced from 1960-1961 to 1959 the date when the Soviets might have ten intercontinental ballistic missiles (ICBMs) available for operational use. While the U-2 overflights of the Soviet Union, which started in 1956, had alleviated concerns about a bomber gap, the flights were too few and covered too little territory to definitively confirm or refute claims of a substantial Soviet missile edge in the coming years. 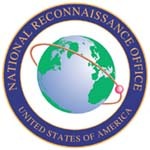 The urgency attached to developing a successful reconnaissance satellite led, in addition to the approval of the CORONA program, to the creation of a special Air Force office to manage the SAMOS effort, and ultimately, to the 1961 creation of a top secret National Reconnaissance Program (NRP) and an organization to coordinate that program-the National Reconnaissance Office (NRO). The NRO was different from most other government organizations in two ways-its very existence was classified and its key components were actually elements of the Air Force, CIA, and Navy. In the five years following their creation, the NRP and NRO were the subject of intense battles between the CIA and the civilian and uniformed Air Force officers who ran the NRO. At first the battles primarily focused on the authorities of the NRO and its director. Subsequently, a major aspect of the conflict involved decisions concerning new reconnaissance systems. Only now, with the declassification of internal histories and supporting documents, as well as the willingness of key individuals to speak of their roles, is it possible to begin to examine in detail the battles that occurred between 1961 and 1965. The outcome of a number of those disputes had long-term implications for the way in which the NRP was managed for the next several decades as well as the nature of the U.S. reconnaissance systems which orbited the earth.